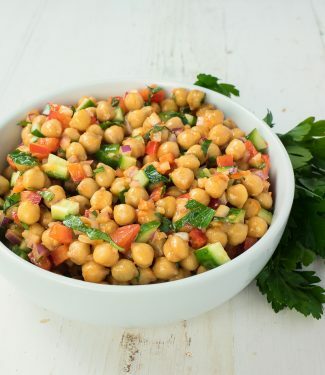 Chickpea salad with sun-dried tomato vinaigrette is the perfect side dish for those summer dinners on the deck. Serve it with a nice rotisserie chicken and some tzatziki and a glass of chilled white wine. With anything grilled really. The perfect summer meal. It’s super easy to make. Toss some sun-dried tomatoes in the blender along with lemon juice, olive oil and salt and pepper. Toss together some chickpeas with a some red peppers and onions. Mix in a bit of crushed garlic and parsley. Let it sit at room temperature for about an hour to let the flavours come together. Add some cucumber at the last minute. If you want to mix it up a bit you can add some chopped jalapeño or crushed red chilies. It’s generous on the garlic as written. If you aren’t a big garlic fan, cut it down to one clove. Take this recipe and play with it. It’s really more of a guideline anyway. 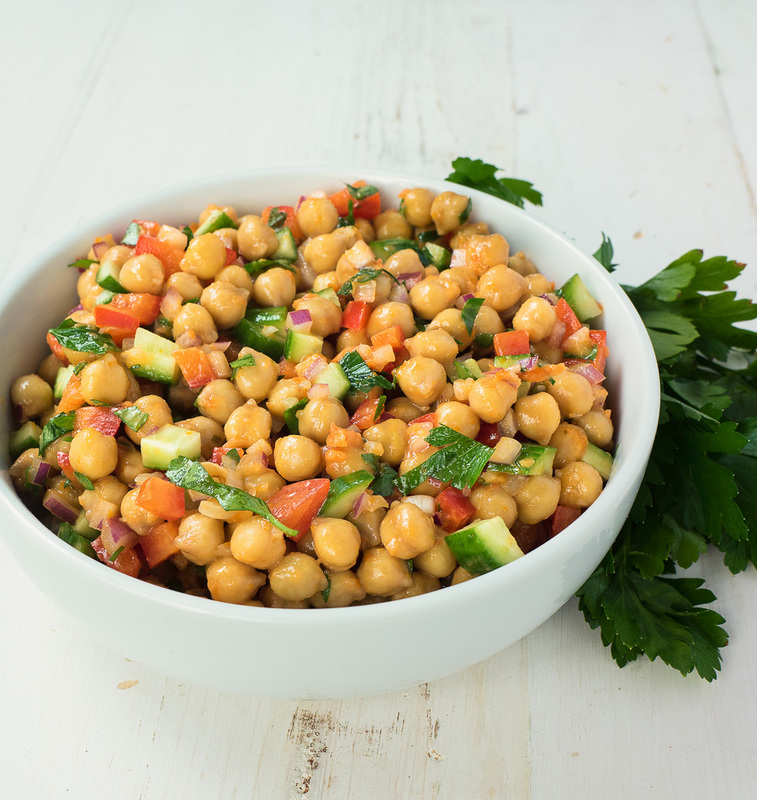 Chickpea salad with sun-dried tomato vinaigrette. Simple. Summery. Delicious. 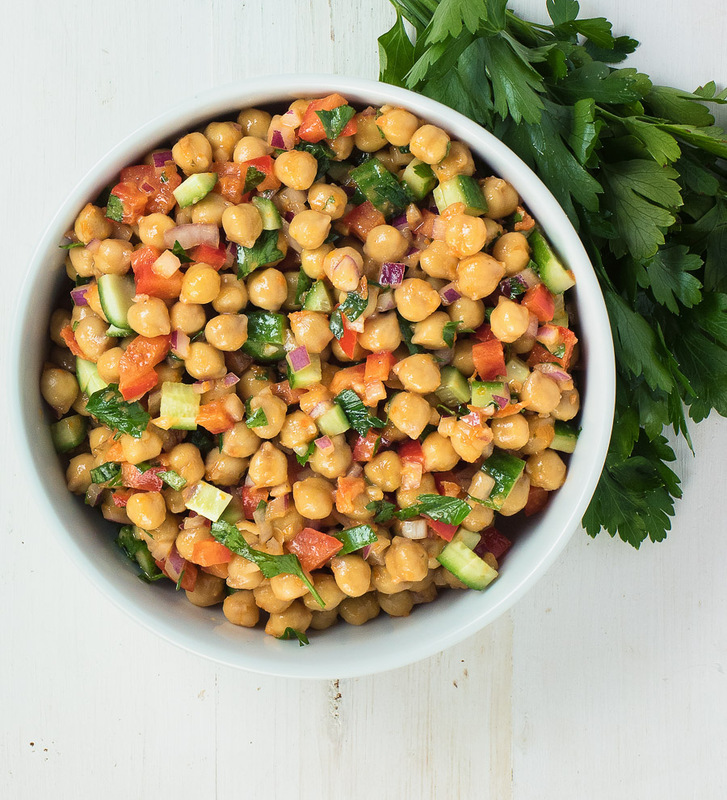 Chickpea salad with sun-dried tomato vinaigrette comes together in no time. Serve it with grilled chicken or as a stand-alone vegetarian lunch. Combine the chickpeas, red pepper, onion, garlic, parsley. You can spice this recipe up a bit by adding some diced jalapeño or crushed red chilies. If you are short on time, you can shorten or even skip the sitting time. This recipe is a bit garlicky so if you are not a garlic fan consider rolling it back to one clove. In american, french, salad, sides and stuff, Vegetarian. Bookmark the permalink.